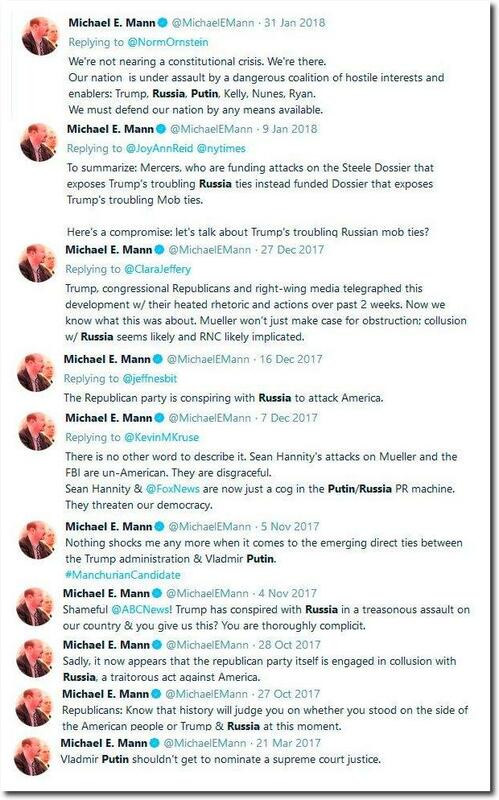 Now Mann has really screwed up totally exposing himself as a conspiracy theorist without a single shred of evidence to back up his contentions after a nearly 2 year investigation by a special counsel that in fact disproves his nutty claims . There HAS to be a reason why. There is something he fears beyond losing funding. There has to be a reason for him doing this now that we are not seeing. What is it? It is an assemblage of his Russia tweets over the past few years. A hell Tony. It’s been a long 5,800 miles in just under 6 days. Thanks for being decent when I missed the obvious. Time for me to go to bed I guess. At least the old dog still has his driving bite though 14 years ago when I teamed regularly and stayed out 3 to 6 weeks at a time we generally managed about 7,000 miles a week. When we got in, I let the kid go home then I gave the truck a good going over, fueled it, greased the fifth wheel, purged the air tanks, and turned in the blown tire to the garage, and they happened to be working in the wash bay so I got the caked bugs off the truck before I parked it. Wow! I just assumed, due the absolute implausibility and preposterousness of it all, that the Russian-Putin-Trump collusion conspiracy was aimed at low information voters. Amazing to see the man leading the AGW movement has such a limited intellect and ability to think critically and was duped along with the others. He must have the IQ of a squirrel. Global warming is also aimed at low intellect voters. Most progressive followers are low IQ. Those are the people dictators like Hitler or Lenin/Stalin used to terror the people into submission. Normally we would call them the losers and most of the time they are men. But there also high IQ losers and those like M Mann, Hitler or Lenin/Stalin are the really dangerous people. What gives you the idea that Mr Mann has a high IQ? I’ve never had that impression of him. Hahaha! Indeed! But, there must be something fundamental that connects the same people to AGW and leftism. I’ve never met one without the other. Could be a brain virus. It is a mental disorder, an inability to reason. “Ideas are far more powerfull than guns. and why Mann”s russian arguemnst have the same quality as his climate arguements. Indeed. It’s a good thing Michael Mann has no credibility amongst any but the lowest of low-IQ people. I’d challenge him to a debate, him putting up his Trump hatred and failed climate predictions, me putting up my particle physics which disproves the CAGW hypothesis… but I’d feel dirty doing so… sort of like how it feels when one punches a retard who we all know can’t help himself and just blurts out stupid shite. They should know it’s only a matter of time before the climate science review team exposes their scam (it is headed by a retired particle physicist, after all)… they should run now, while they can… to a country that doesn’t have extradition agreements with the US… because the climate science review team is a prelude to prosecution of those perpetrating the CAGW scam. We’re going to tear it all down. Very optimistic. But have a look how the believers respond when Tony points out in logical, sequential order, evidence which exposes the scam. They won’t listen. It’s a narrative that grasps at their very being. A religion that can’t be proved false and its proponents rule almost every institution we have. Except for Trump ofcourse. The globe is profoundly lucky the rigged American election was not rigged enough. Michael Mann blocked me and half the skeptics I know, and he hasn’t blocked you? Is he a glutton for punishment? He has me blocked. Use an incognito window to see blocked tweets. My word! THAT was easy. Thanks. No words … can’t find the words. Progressives have a non functional frontal cortex. Ha ha ha. What a nob. One more comment before I go to bed. While I was gone my wife saw a bald eagle soaring over our property. There is a nesting pair at Hoosier Park which is a horse racing track a few miles from my place. Though I have heard of a few nesting pairs in Indiana this Hoosier has never seen one in my state. Think it’s about time to head over to the horse track, which BTW has an excellent buffet with Prime Rib and King Crab, and check it out. Assuming Mann wishes to be taken seriously as a – stop laughing – rational man of science guided only by reason, evidence and facts, it is a truly atrocious decision to mouth off about idiotic conspiracy theories way outside even his claimed area of knowledge. Imagine where our country would be right now if Bill Barr was the pick back in Jan 2017? Trump’s approval rating would be >60%. Horowitz is holding all the cards – this could go either way. It is a travesty that people like Mann can be debunked totally [hockey stick-et-al], yet still maintain his position at the university. Money! It’s all about money. Says more about the state of academia in america than it does Mann. Very sad. Are people still paying attention to Michael Mann? The wrongology is strong with Dr Mann. It’s fun that his 2005 paper is so supportive of the climate skeptic position. Of course he’s been walking back his own embarrassing data ever since. Quite amazing to see a scientist abandon truth that he himself has discovered and then embrace a farrago of lies like he has. The 2005 paper in your link is titled “A signature of persistent natural thermohaline circulation cycles in observed climate”. Well I’m very sceptical about the purported power of thermohaline circulation cycles too. As far as I can tell, they are a second-order effect at best. Hilarious that he gets a “Praxis” award. Did Villenova University think that the Mann man actually went out to the wild wastes of the Yamal Peninsula himself? Fieldwork and lab work is certainly needed in dendrochronology work, but Mann himself never had to step outside the door of his office, or away from is desktop, to do what he did. You always know when a leftist scumbag needs their reputation bolstered. They get some other leftists to give them an award. Just like Dan Rather after his Bush NG letter lie! They had to create a new award to try and help salvage his reputation. It is a continuing pattern. Are those “Praxis awards” actual or Mann made ?